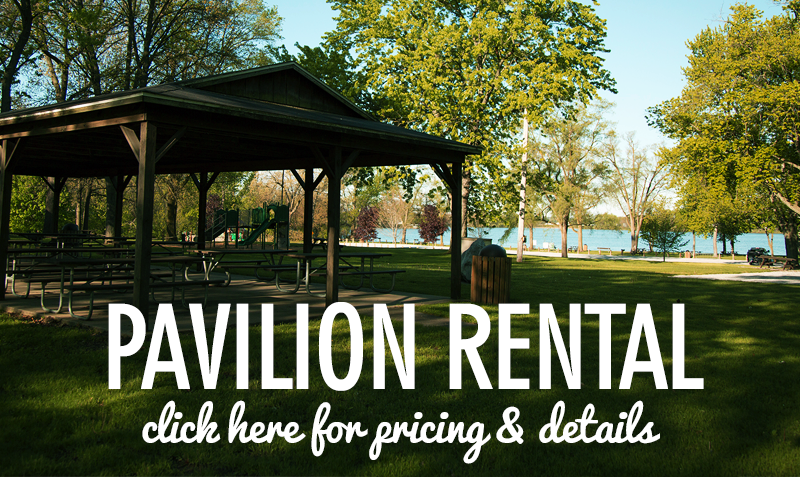 St. Joseph County Parks offers 4* pavilion rentals at the following parks: Cade Lake, Rawson's King Mill**, Meyer Broadway, Covered Bridge Farm**, Plumb Lake and Sand Lake. Pavilion rental includes park access, picnic tables and access to trash receptacles. ** Pavilion availability will be dependent on scheduled weddings. Looking for a unique wedding venue that’s sure to complete your special day? Starting in 2018, the Parks Department will have 2 venues available: the historic Rawson's King Mill and the newly restored Covered Bridge Farm. Contact St. Joseph County Parks and Recreation at 269/467-5519 to make your reservation. Chairs included in the rental price of Rawson's. Not just for weddings! The Farm will also provide a great space for your company or organization’s next event. Barn capacity is 244. However, with tables and chairs set-up, 200 people is much more comfortable. There are several beautiful areas outside that are ideal for an additional event tent (provided by others). Private use of the beautiful grounds. Use of the historic barn and modern restrooms. Tables and chairs included. Chairs can be set-up outside for outdoor ceremony. 300’ boardwalk with the St. Joseph River and Langley Covered Bridge serving as the backdrop provides a perfect setting. Beer and wine are permitted if brought in by individuals (no alcohol vendors). However, a special-use permit must be obtained from St. Joseph County Parks and Recreation Department prior to the wedding day. No staples, pins, nails, etc. on park structures. Please use tape of wire for attaching items to park structures. Set-up and clean-up must be completed the day of the wedding or following morning. 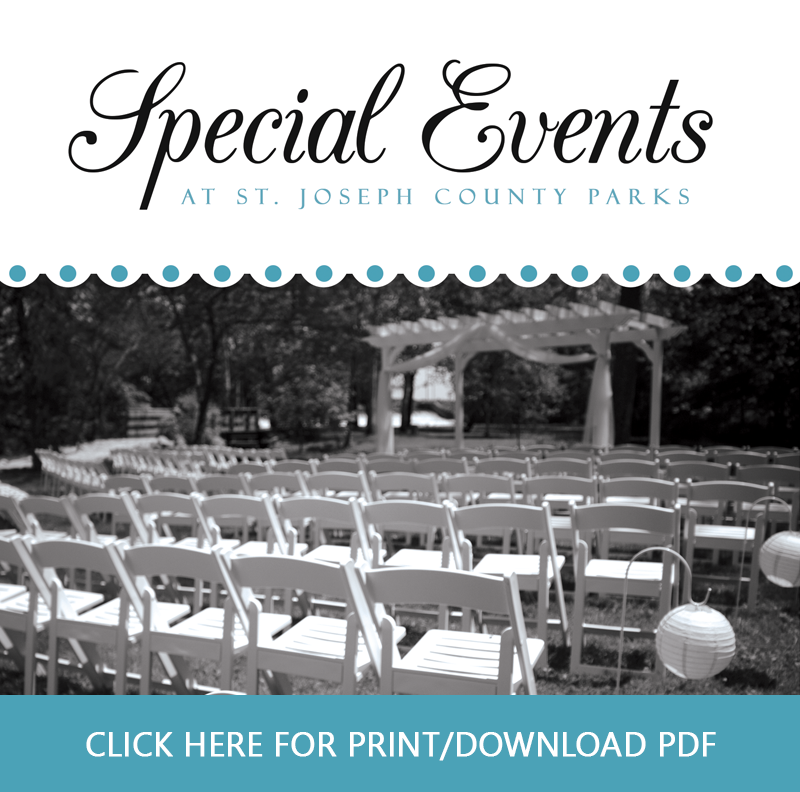 Tents or other special decorations must be approved by St. Joseph County Parks and Recreation. Covered Bridge Farm is available from dawn to dusk. However, special accommodations can be made with prior approval. One of the great things about many of our parks is that they are located on lakes! 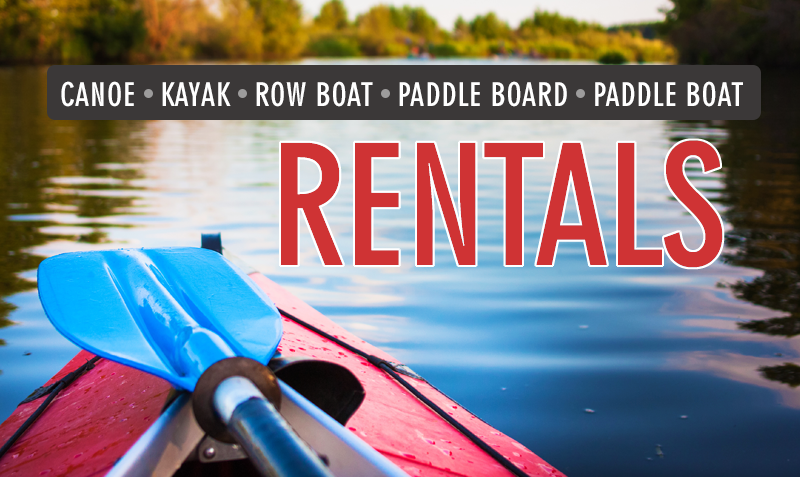 And we want to encourage visitors to get the most out of their park experience by renting boats and kayaks at the following parks: Cade Lake and Sand Lake. We even provide paddles and life jackets!